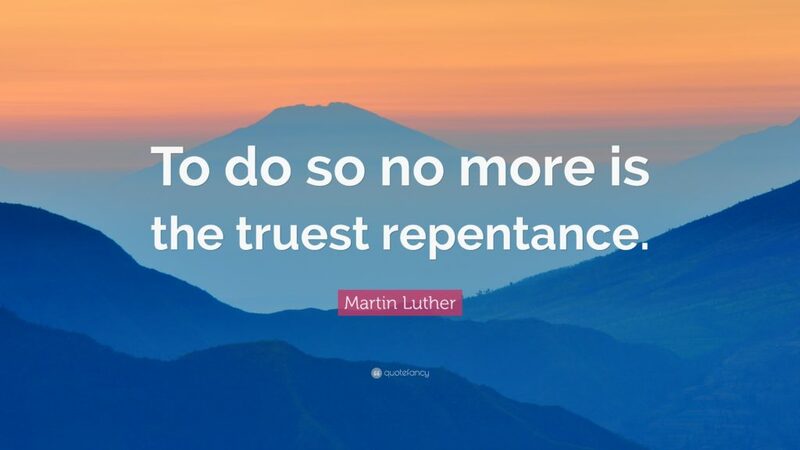 When Martin Luther nailed his 95 theses to the door of All Saint’s Church, Wittenberg, 500 years ago in 1517, he sparked the Protestant Reformation right across Europe. Ahead of the Week of Prayer for Christian Unity, the Archbishops of Canterbury and York issued a statement. John the Baptist drew large crowds out into the desert. His preaching was contemporary and controversial. Not surprisingly, he found himself on the radar of the religious authorities in Jerusalem. They sent a delegation to interrogate him. John was an enigma. “Who are you?” they asked. John responded by vigorously telling them who he was not. His reply in the Greek is most emphatic. John’s day was one of great Messianic expectation. Everyone was looking for the promised Messiah, and people began to speculate that perhaps John was the Messiah. “I am not,” he insisted. Whatever John was, he was certainly not the Christ. Well, “Are you Elijah?” they asked. That is not such a dumb question as it may sound. The prophet Malachi predicted that an Elijah figure would precede the coming of the Messiah. “See I will send you the prophet Elijah before that great and dreadful day of the Lord” (Malachi 4:5). Perhaps John was Elijah. After all, his appearance was similar. His message was similar. Elijah did not die. Was this Elijah returned? “I am not,” replies John. “Then are you the great Prophet?” Deuteronomy 18.15-19 speaks of a great prophet like Moses who would come and restore Israel. This promise was understood to refer to a special end-times prophet. Again John insists emphatically, “No”. As a true witness, John recognized who he was not. His three-fold denial makes his witness clear. The increasing bluntness of John’s answers cannot be missed. John seems to have had a dislike for even answering questions about himself. He recognized who he was not. But what about us? If we are going to be faithful servants, we must recognize who we are not. We must not get in the way of Jesus. Humility is not thinking less about yourself, it is thinking about yourself less. Pride is the greatest impediment to faithful service. How often are your sentences phrased as questions and how often as answers? How often are they giving orders instead of offering help? How often about yourself and how much about others. To be faithful servants we must recognise who we are not. John knew who he was not, do we? Not content with John’s denials, they question him further, “If you are not any of these people, then who are you?” What is your role? What do you have to say about yourself? Show us your resume. But John did not flash his CV. He did not flatter himself or build his own name. He did not attempt to appear important. John knew who he was, because he knew his destiny from the Scriptures. “I am the voice of one calling in the wilderness…” John knew his calling and purpose. To be a voice for God’s message. Think about it, a voice is temporary. The sound is fleeting. And that is John’s view of himself. The message was more important than the messenger. John pointed people to Jesus, to lead people to Jesus, to introduce people to Jesus. And like John, that is our role too. John knew who he was. Do you know who you are? John knew his role from the Scriptures. Do you know yours? In Romans 12 Paul urges us to not think more highly of ourselves than we ought. There’s a reason we should not be arrogant. Last Sunday our theme was service. John was called to be a prophet to lead people to Jesus. What have you been called to be? We have each been called to serve in different ways in a local church. God has entrusted to us gifts and abilities for one purpose – to lead people to Jesus. To lead children to Jesus. To lead teenagers to Jesus. To lead students to Jesus. To lead singles to Jesus. To lead marrieds to Jesus. To lead yuppies to Jesus. To lead seniors to Jesus. One way is to invite people to join you on the Christianity Explored course starting this Thursday. Who have you invited? Who will you invite tomorrow? I believe we are operating well below our redemptive potential as a local church because we are not harnessing all the God-given talents and abilities he has entrusted to us. The pastor’s role is to help you find your place in the Body of Christ, to experience deep fulfilment and lasting joy in serving Jesus with your time and your gifts. To be faithful we must recognise who we are not. To be fulfilled we must know who we are. John was not afraid to tell these religious leaders they did not know God personally. The Son of God walked among them and they did not recognise him. Do you? There are at three things John tells them about Jesus. Loosening another’s sandal was the most menial of tasks. Only the lowest slaves would loosen sandals. Even disciples were not asked to loosen the sandals of their teachers, yet John says, “I am unworthy to do the single most humbling task—loosen His sandals.” John stresses the one task that rabbinic Judaism taught was too menial for the disciple, and John emphasizes that he is unworthy to perform this humbling task. “I am unworthy to untie his sandals.” Why? Because of Jesus’ greatness. In simple reverence John conveys the profound truth that Jesus is the eternal, pre-existent one. Sometimes we can be over-familiar with Jesus. If John was unworthy to until the sandals of Jesus then… reverence is appropriate. Jesus – before us as Creator, beneath us as Saviour, with us as friend, above us as Lord. John spoke of Jesus’ greatness. Jesus: the Majestic Lord. John’s public testimony climaxes in his identification of Jesus as the Son of God. Jesus is the Son of God. He is divine. He is fully human yet fully God. He is the Chosen One, sent by God. He is the One who was with God and who is God. John testified to what he had seen. What he had experienced. That is all God expects of us. To tell others of what God has done for us, what God is doing in us, and what God will do in and through them too. John proclaimed Jesus’ greatness. John predicted Jesus’ sacrifice. John pronounced Jesus’ deity. A father and his small son were walking down the street past a construction site for a new skyscraper. Glancing up, they saw men at work on the high storey building. “What are those little boys doing up there?” asked the son. “Those are not boys, they are grown men,” replied the father. After a pause, the boy pondered, “I guess when they reach heaven there won’t be anything left of them.” The nearer we come to Jesus, the less others will see of us and the more they see of Him. That is what we learn from John the Baptist. To be a faithful we must recognise who we are not. But, to be fulfilled we must know who we are in Christ. And, above all, to be fruitful all we have to do is lead people to Jesus and let him do the rest. To His praise and glory. Lets pray. This entry was posted in Anglicanism, Bible, Sermons, Theology on February 5, 2017 by Stephen Sizer.